The younger of the Uesugi twins. Serious and hard working, he is the complete opposite of his older brother. His pitching skills and perfect grades makes him the favorite of his parents who despite his young age, conspire to get him and Minami to marry. His good looks makes him popular with the girls at school, which irks Tatsuya. Unlike the naturally athletic Tatsuya, Kazuya had to work hard to hone his skills since an early age. Like his brother, Kazuya is in love with Minami. He hopes to take her to the Koushien and win, fulfilling their dream. 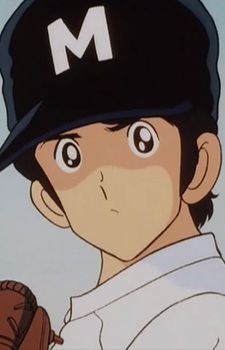 During the 25th episode of the series, Kazuya does not turn up for the finals for access to Koshien. It is later shown that he is in the hospital due to an incident. In the 26th episode his death is confirmed; the cause being hit by a truck when saving a child.